Online giving increased by 5.5% in the UK last year, although overall giving fell by 4.2%, according to a report by nonprofit cloud technology provider Blackbaud. The Charitable Giving Report 2018 analysed the giving data of more than 9,000 non-profits globally, and the online giving data of just over 5,500, predominately in the US, Canada, New Zealand, Australia, and the UK where it analysed the data of 311 organisations. Overall, online giving in 2018 grew 1.2% year over year for the non-profit organisations that provided this data, with online donations accounting for 8.5% of all fundraising in 2018. Continuing the rise seen in previous years of Blackbaud’s report, over 24% of online donations were made on a mobile device in 2018, up from just 9% in 2014 and 21% in 2017. Arts and culture organisations saw the biggest increase in online giving overall, up 5.8% during 2018, while those in the public and society benefit category grew online giving by 4.4%, healthcare by 3.3%, and faith communities by 2.9% compared to 2017. 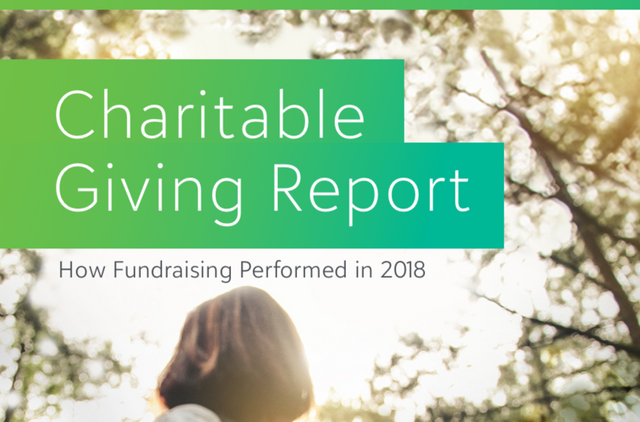 Overall giving grew 1.5% for the 9,029 non-profit organisations included in the analysis – the seventh consecutive year that the report has documented an increase in giving.